Fried chicken, in the South, is a staple. it can be found on dinner tables on Sunday. Fried up fresh and sold in any corner market. Brought in pretty blue flowered dishes to church lunches on Sundays. 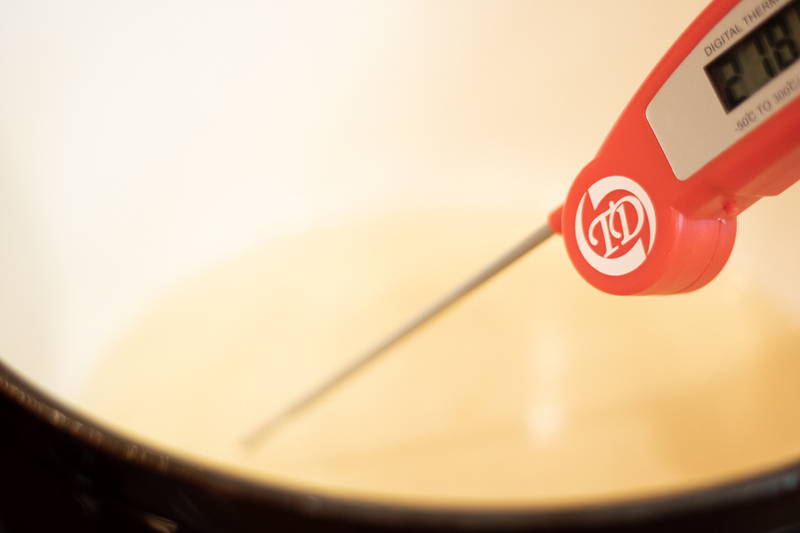 All hailing a secret family recipe. And always using the word, BEST. That is because it is the best. This southern classic has been around as long as Methuselah and has brought joy to the woeful, sunshine to the grief stricken and delight to the hungry. It is expected at many a social function and I have even heard tales of it being a resume requirement for potential spouses. 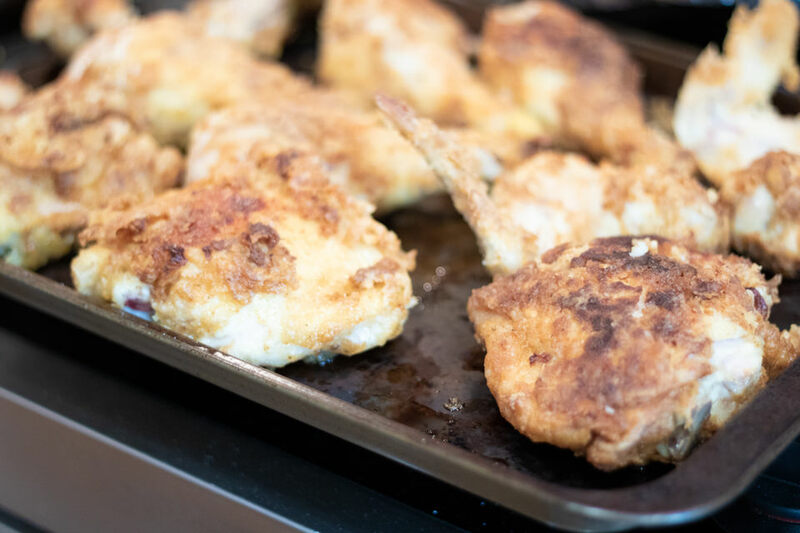 So that we can insure that you have this most beloved main dish in your repertoire, we are sharing our Buttered Home Easy Southern Fried Chicken. Cut up or remove already cut up chicken pieces from package. Rinse them well in cold water and pat dry. Place in a large sealable container and cover with 3 cups of buttermilk. Seal and allow to soak in buttermilk no less than 2 hours but no more than overnight. 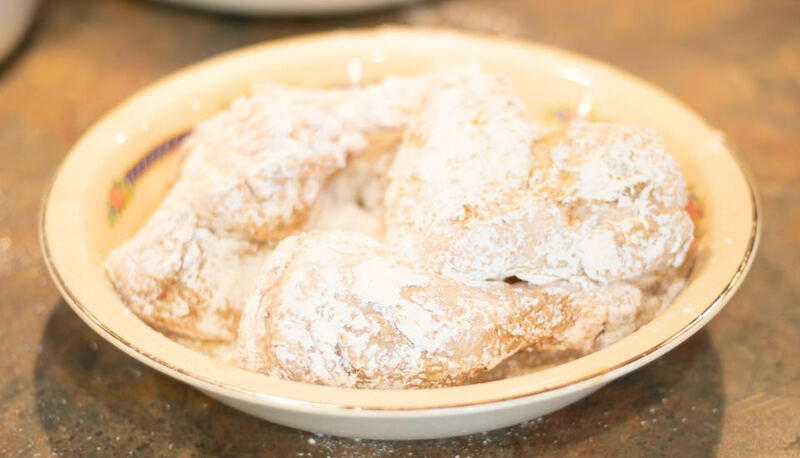 After soak, remove and drain chicken from buttermilk and place on a platter. Sprinkle liberally with Fried Chicken Seasoning on both sides. In a large bowl mix flour with a tad of salt and pepper. Dredge chicken pieces in: flour, salt and pepper mixture, coating well. Set aside. Heat shortening to 325 degrees Fahrenheit and do not let it get over that temperature. I like to fry in batches. I fry my wings and thighs together, breasts and then drumsticks. Allow to fry until golden brown, and flip. Usually at least 5 minutes per side. We are not cooking all the way through. We will finish them in the oven. Preheat oven while frying to 375 degrees F. Place chicken on a rack in a sheet pan after frying to drain. Clean all excess grease in bottom of sheet pan before placing in oven. Bake at 375 degrees for about 20 to 30 minutes until internal temperature reaches 180 degrees. How can you make Fried chicken so easy? Well, the biggest issue for people frying bone in chicken, is worrying if it is truly done. Frying the skin brown and crispy takes the worry out but also reduces your clean up time. 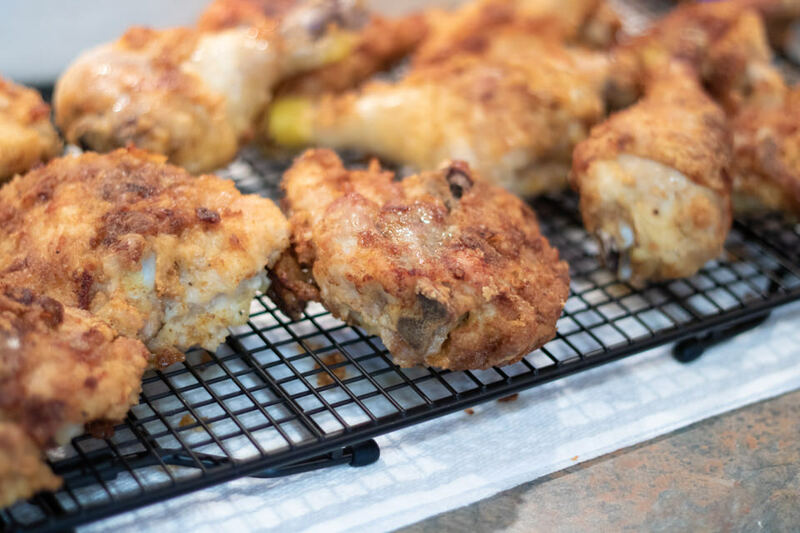 Finishing in the oven insures even cooking without sacrificing what you love about Fried Chicken in the first place, the crust! It’s so good no-one will ever know it wasn’t fried to perfection swimming in that shortening! As always, we would love it if you shared this recipe with your family and friends. Over to the side on this posts and all of the others are handy dandy share buttons. We would sure be grateful if you “Shared” the love! Easy Southern Fried Chicken. A staple in any good cooks recipe box, this recipe for the ultimate comfort food does not disappoint. Made easy by finishing in the oven, it doesn't skimp on flavor and oh my, that Crust!